Please know this event is private. You must be 21 years old and over and have a ticket to attend. No day of tickets sold. If you have not purchased a ticket, then please contact the Chamber office today at 405.390.3303. 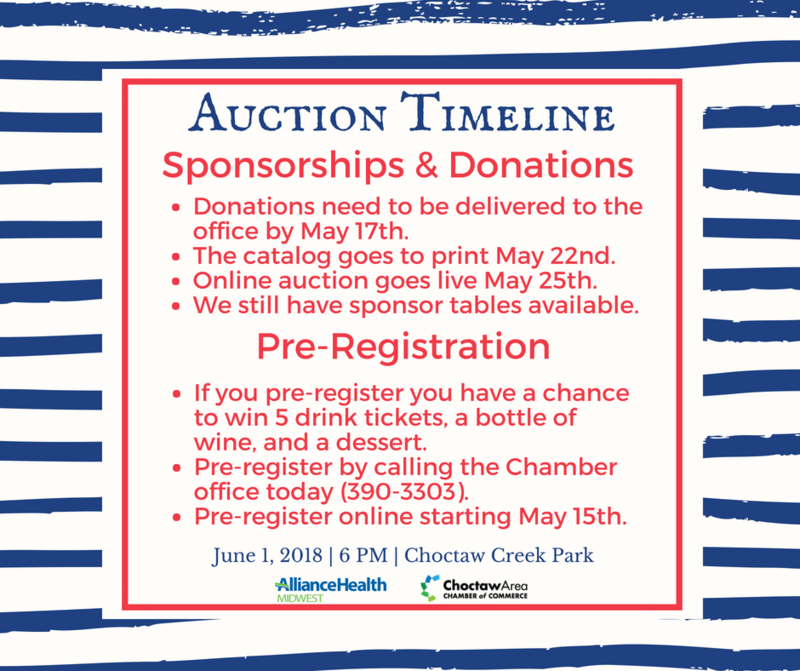 Auction 2018 is Open for Business! 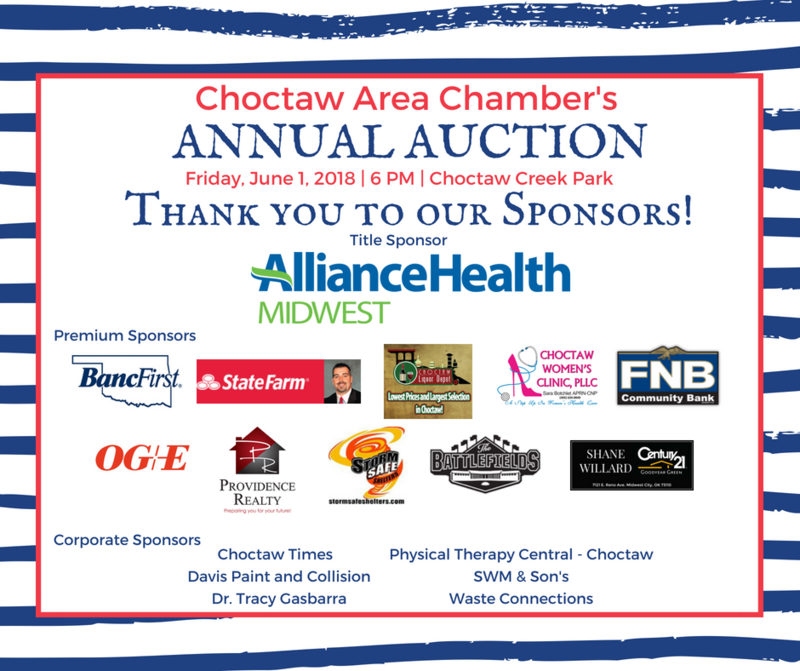 Thank you to our 2018 Auction Sponsors. Don’t see your logo or name here? Call the office today to sign up for your table! We still have sponsorships and tickets available. 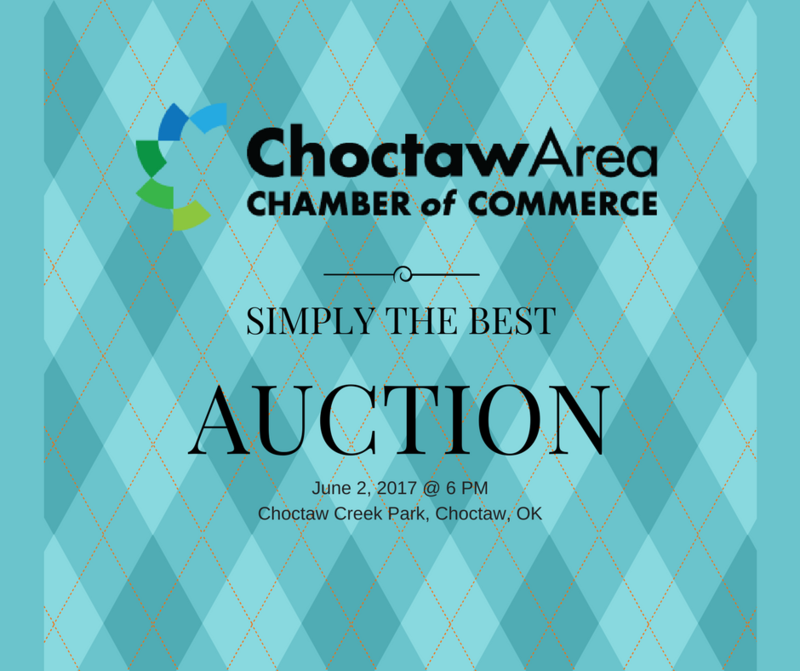 Don’t miss out on the biggest Chamber auction in the state of Oklahoma! 405.390.3303. 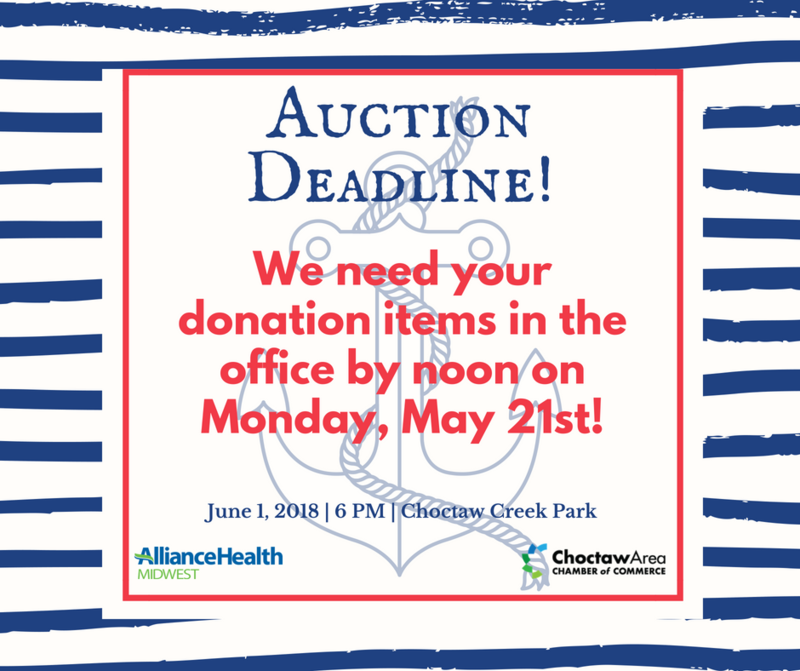 If you are planning on donating an item, service, or an experience to our Auction and you want in our printed catalog, then we need your donation in the office by Monday, May 21st, at noon. Everything received after that date will not be in the printed catalog. 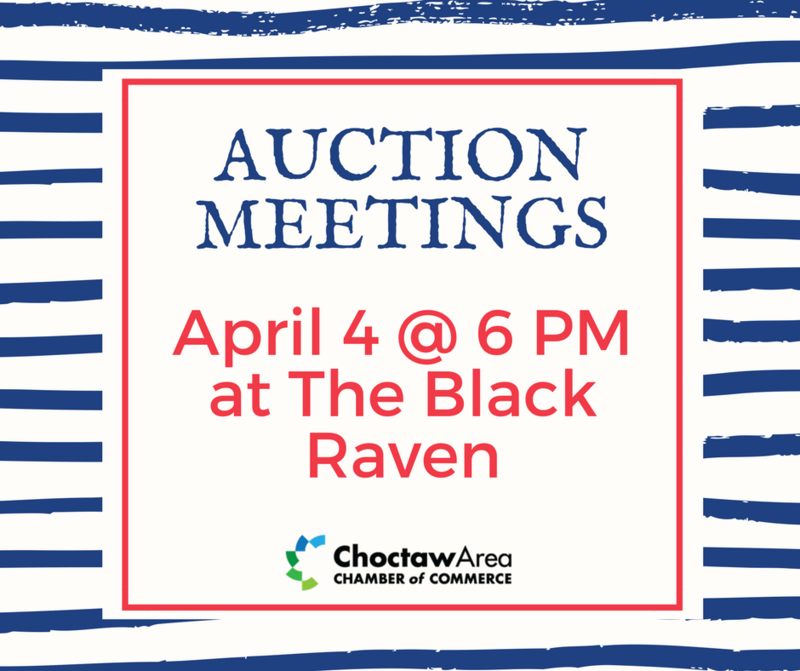 Join us for our auction meeting tonight at The Black Raven at 6 PM. 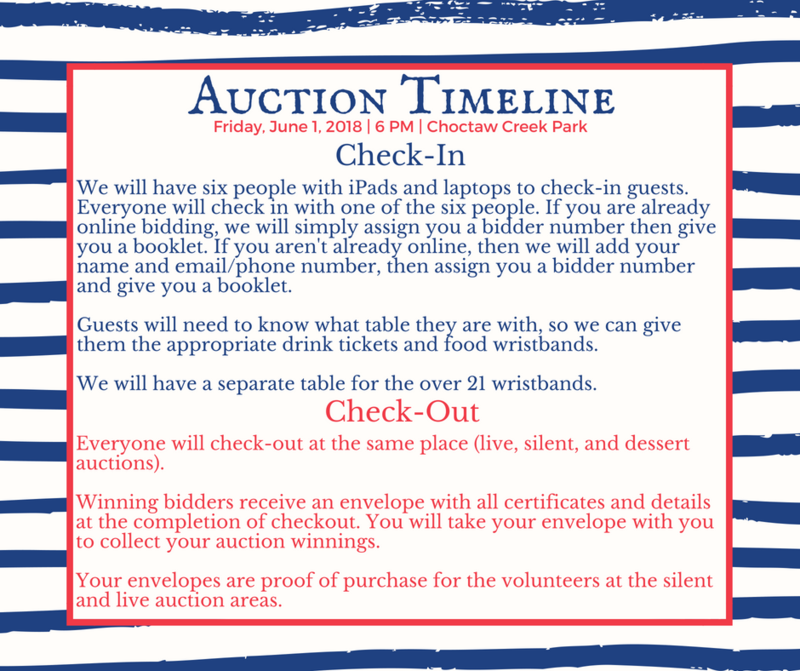 Want to be involved in the auction fun? Join us for our weekly meetings! 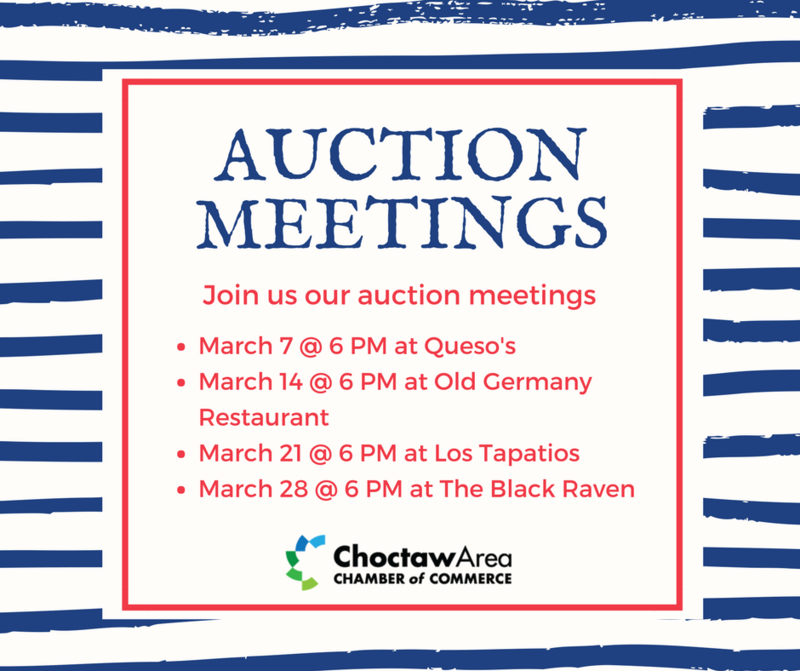 Each Wednesday leading up to Auction, we meet at 6 PM at various restaurants in our area. If you want to be a part of our auction committee, then please make plans to attend. Locations will vary. Click here to start the auction fun! 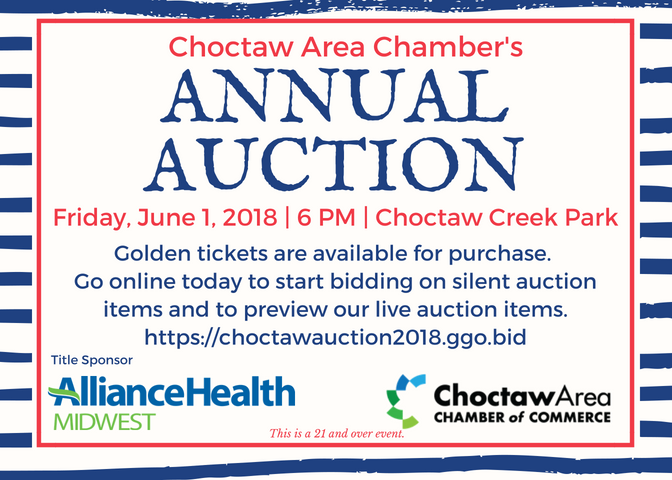 Auction, June 2 | Items up for Bid! 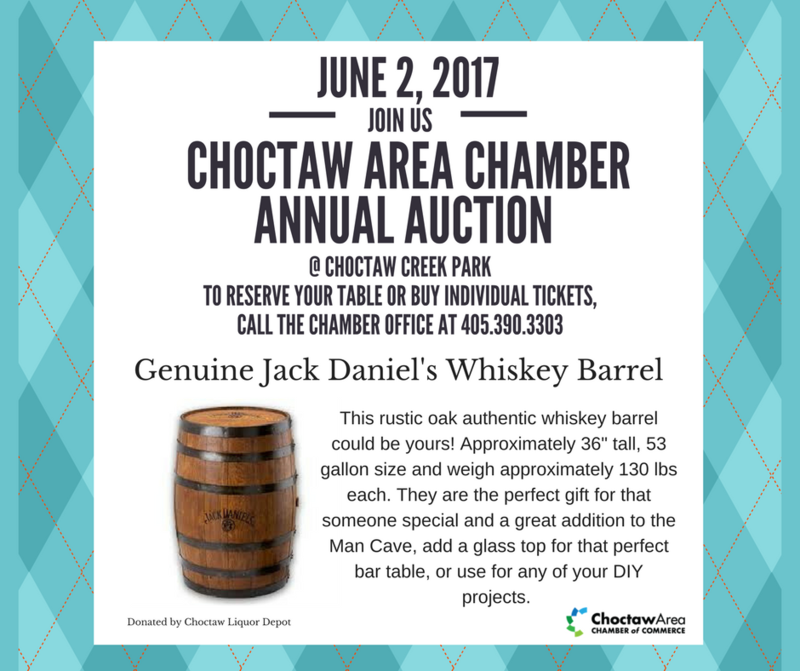 Call the office today to buy your tickets to the auction! 405-390-3303.